So what’s inside? 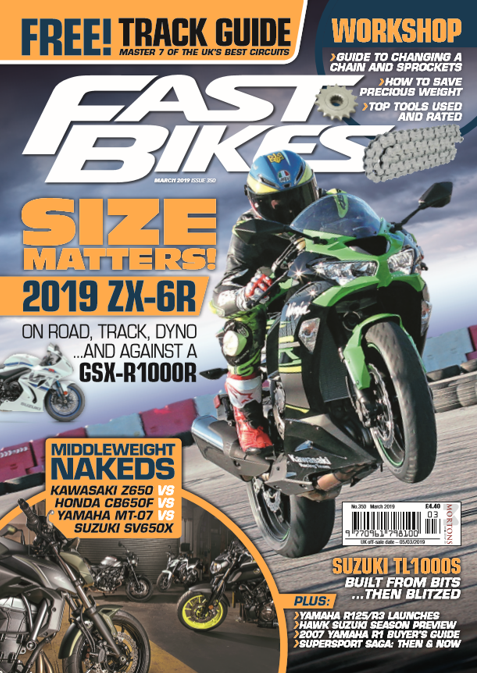 Triumph Daytona 675R launch report & first UK ride; Ducati Diavel launch, Suzuki GSX-R750 launch, KTM SMT ABS launch, BMW K 1600 GT launch, plus Triumph Tiger 800 & Benelli TNT R160 first UK rides, a myth-busting ZX-10R first UK test, and the most definitive 600cc Supersport shootout you’ll read this year. Then there’s an exclusive interview with Mr Arai, a guide to dodging ‘misguided’ police officers in court, a John Hopkins exclusive, and all the regular stuff that you love reading in FB – the UKs best selling sportsbike magazine. There’s a proper full-size cargo net free with every issue, too!